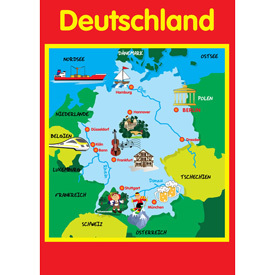 A large A2-size poster map of Germany for children, decorated with typical French icons. 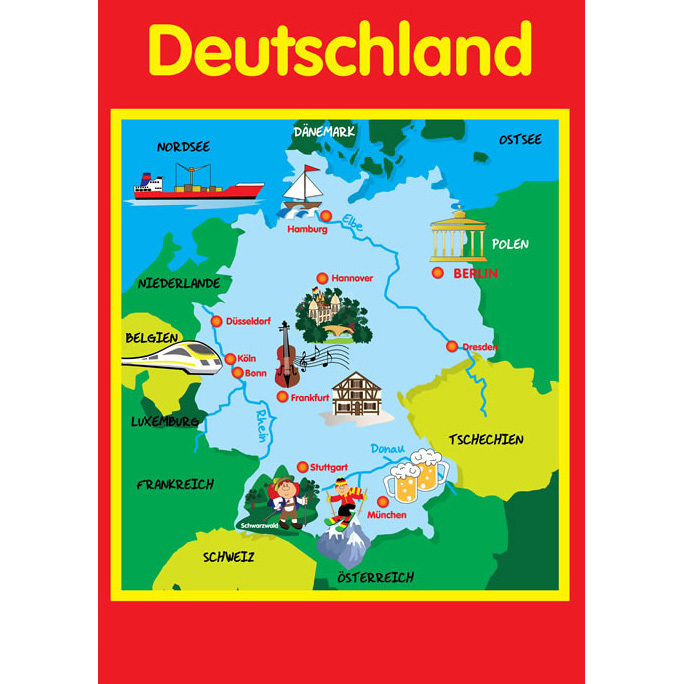 Major cities, rivers, seas and neighbouring countries are labelled in German. Bright and clear poster ideal for the MFL classroom!